I went to Whiskeytown Lake off of Highway 299, in Shasta county. It’s one of my favorite lakes and I drive by it all the time. It was a very hot day and the lake was spectacular, as usual. We swam near the same spot that my parents would sometimes stop at during my childhood. It is the north west end of the lake, near Oakbottom Recreational Area, follow highway 299 West towards Eureka, California, which is the coast. Whiskeytown lake at the Oakbottom exit. I was almost to my neck in water with this shot. 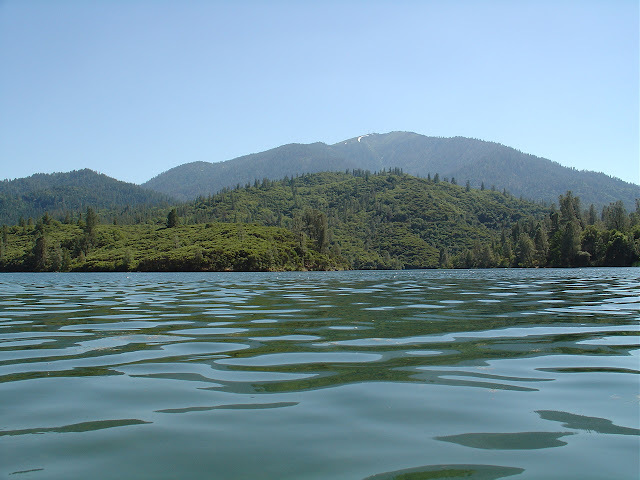 Whiskeytown lake is beautiful and wonderful to swim in. Finally, I managed to get to the lake and swim. I have been to this same spot a couple of times, but not yet this year. It is located on the South side of the lake, after you drive over the dam. I love this spot, the water reminds me of the sea. Whiskey town lake is wonderful because no matter the drought, it will always be full and ready for activities, camping, boating, kayaking, skiing, sailing, or whatever activity you would like. Below is Lily, my Mom’s dog, she loved the water, but not necessarily to swim. She never went any deeper than her stomach. We were at the beach for two hours and she did not sit once. Beautiful Whiskeytown Lake, in Shasta county. These pictures were taken on the south east side of the lake, it has a white sand and more granite. Other parts of the lake can have red sand for instance. Train bridge over the Russian river, in Healdsburg, CA. I have been visiting Healdsburg, California a bit more and exploring some of the neighborhoods. I was driving by the river, and noticed the old train bridge. I pulled over and ran down the tracks to take a couple of pictures. I always drive over the car bridge, which in one of the pictures, you can see it in the distance. That bridge crosses over at the Healdsburg Veterans Memorial Beach is a public beach for swimming and day camping of sorts, or picnics. View of car bridge over Russian river, and Healdsburg Memorial Beach in Northern California. View of Russian River and Healdsburg Memorial Beach. Lake Tahoe, at Incline Village, Hyatt Resort. Lake Tahoe is a beautiful place to visit in the summer, and the winter. In the summer, there are so many activities to do on the lake. You can do about any water sport there is including para sailing, and catamarans, boating, skiing, anything you can think of that is permitted. There are so many resorts, and places to visit, and explore. Also there is hiking, horseback riding, mountain biking, historical mansions to visit. Not only that, there are plenty of restaurants, coffee shops, shopping, fine dining, art, festivals, 4th of July celebrations and so much more. Incline Village, located on the border of Nevada and California, but on the Nevada side, the north east shore of Lake Tahoe. The Hyatt Resort, Spa and Casino is a great place to stay. Located right on the lake, the hotel offers all kinds of amenities, including a bar on their pier called Pier 111 Bar, you can find the link below. If you never have visited Lake Tahoe, you really should try to, add that to your bucket list! 🙂 It’s one of the most beautiful places in the world. The lake is beautiful, and pristine, and one of the largest alpine lakes in North America. It is also the second deepest, right after, Crater Lake in Oregon. Which is another amazing lake, that you should visit! 🙂 It’s about 7-8 hours drive from Tahoe, depending on the route. Lake Tahoe, Hyatt Resort, Spa, and Casino. Lake Tahoe, Incline Village, Hyatt Resort, Spa and Casino. Pier 111 Bar at the Hyatt Resort, Spa and Casino.